Water treatment company Pentair, together with the Pentair Foundation, has announced a new partnership with Shining Hope for Communities (SHOFCO) to deliver clean drinking water to Mathare, in Nairobi, Kenya. The project builds on a multi-year programme to deliver safe drinking water to Kibera, located in the western Nairobi. Funds raised from the project have helped to sustain the water system and support the Kibera School for Girls. Engineers at Pentair installed a state-of-the-art water filtration system to treat water on site. The aerial piping system, which is the first to be built in Kenya, distributes the water away from groundwater contamination, according to the company. It comprises overhead pipes that connect to 24 water distribution kiosks in Kibera. 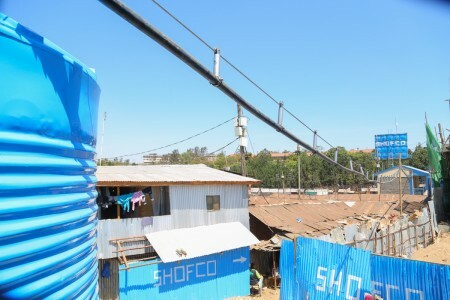 SHOFCO and Pentair will replicate the aerial piping system in Mathare to connect five water kiosks with the goal of delivering clean water to 21,000 people. It will also provide filtered water to the health clinic in Mathare.